Business card etiquette in the USA is considered relaxed compared to other countries. However, it is very important to be cautious about offending anyone and being respectful when it comes to handing over your business card. Business cards can be perceived as a condensed version of your resume or portfolio, therefore, appropriately handing them out amplifies your chances at making a powerful impression. Since the way you design and deliver your business card can either impress or confuse potential contacts, we’ve made a list of worthy tips on business card etiquette that will keep you steps ahead of the game. 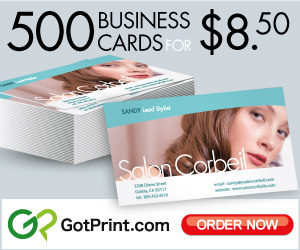 Depending on your profession, there are a variety of shapes, sizes, and styles that you can choose for your business cards. 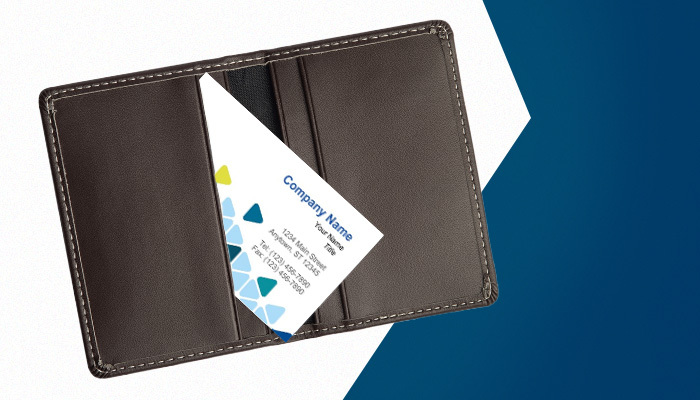 Keep your profession and audience in mind; for example, if you work in financial services, and travel internationally frequently for work, you should consider a standard North American or European business card size. 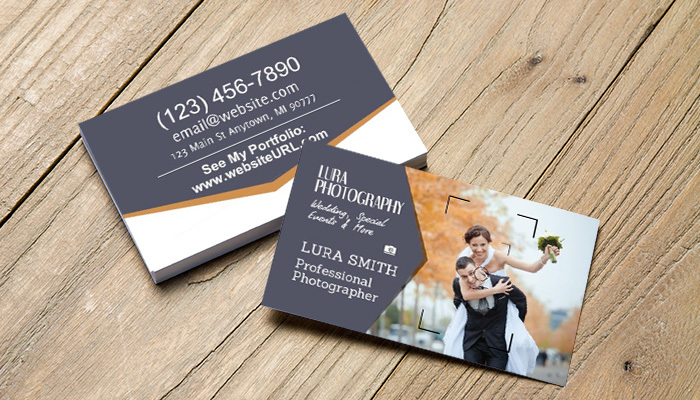 If you’re in a creative field, you may consider unique business card sizes, such as a square or a circular business card. If you’re in a more formal industry (such as financial services) or if you’re a younger professional, stick to a classic style: don’t veer away from standard sizes and shapes. This will show that you’re professional and respectful of tradition. If you’re in a creative field, include a URL to your blog, website, and/or professional social media accounts. Don’t hand out business cards with outdated contact information! Having to cross out old information to write in new info looks sloppy and unprofessional. It’s a good idea to include a description of your business when necessary. If you’re a wedding photographer, for example, you may not need to go into more detail, but if you’re a business consultant, you’ll probably need to say more. In a few words, describe your areas of expertise; that way, when you hand out your business card, no one will struggle to remember what you do — it’ll all be right there. The backside of your business card is an excellent place for this. Sharing your card at the wrong moment can make or break the impression you’re trying to set-in-stone. If you’re in a business meeting, aim to hand your card out toward the beginning. Chances are that they will hand you theirs too, that way you both can get in the habit of learning each others names and titles right off the bat. If you establish that familiarity from the get-go, then you have a greater chance at building trust and at securing that contact / connection. Handing over your business cards outside of a work function should be avoided for the most part, as it is considered to be a bit tacky. Unless you are discussing business and networking with a potential connection, giving out your business card at the wrong time and wrong place could be a reputation killer. This may seem obvious, but be polite and friendly when handing out your business card. 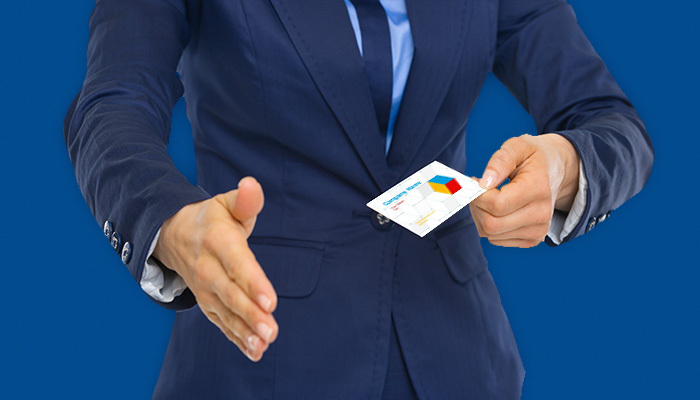 Don’t force your business card on someone who clearly isn’t interested in your conversation or business, and don’t hand out your card too frequently (or to the same person more than once). Keep your business cards in a holder or case, so that you won’t hand out damaged or stained business cards; it’s disrespectful to whomever is receiving your card. 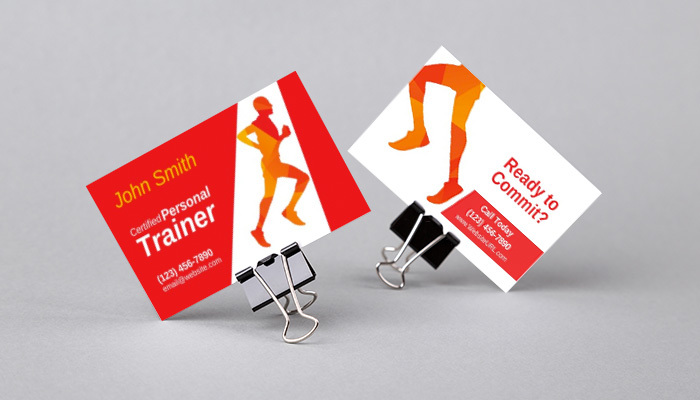 When conversing with a potential client or contact, have your business cards in an easily accessible location. If you take too long to retrieve your business card from your purse or briefcase, the potential contact may become disinterested — or worse, excuse himself or herself from the conversation. A long delay in handing out your card ultimately ruins the great impression you’re trying to make. You may want to consider investing in a business card case for this reason. They are not very costly and will assist in keeping you organized when it comes to both passing your card out, and putting away a card you just received. If you are exchanging business cards with someone, take a moment to look at the other person’s business card before you put it in a safe location. This shows effort and respect for the other person’s business card. You should also get in the habit of handing your business card out with your right hand in order to show good manners and impressing international business clients who find this gesture respectful. Remember to also compliment business cards when appropriate — odds are, this person put as much time and effort into his or her card as you did with yours, so your compliment will be remembered and appreciated. Make the effort to follow up with the other person via their preferred method of contact (whether by phone, email, LinkedIn, or a social networking site); depending on the profession and the situation, you might wait a few hours before following up, or a few days.